Children with disabilities are my inspiration. It's real life. It's what goes on every day. The people in my life inspire me such as my adopted son with autism and my special education students at school. I was once told my son, Terry, would never speak in full sentences. Yet he speaks to our dog, Chance, as if he can understand him. We don't know what's going on inside an autistic child's brain, but there's something different in my son’s thought processes when he’s talking to the dog. When I stand outside his room, I hear him asking the dog, “Are you hungry? Do you want to play?” It helps him cope with some of the issues he's dealing with. I think animals can sense the good in people. He is more animated with the dog. They play together constantly. When Terry misbehaves I tell him, '”Chance is sad.” Then I ask, 'What would Chance want you to do?'' He always wants to make Chance happy. When I put it in terms of the dog, he responds right away. 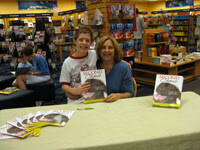 My goal is to make children aware that there are kids with special needs. Kids nowadays aren't exposed to people with disabilities. Being naturally inquisitive, they need to be taught why others are different. As an educator and mother, if I've accomplished that goal with one child, then that more than satisfies me. 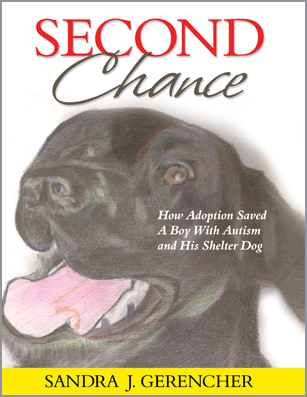 Sandra J. Gerencher is the author of the children’s book, Second Chance: How Adoption Saved a Boy with Autism and His Shelter Dog. She is a special education teacher in Pennsylvania's Bangor Area public school system. For over 20 years, she has worked with children and adults with special needs in such areas as counseling, behavioral research, crisis intervention and abuse therapy.